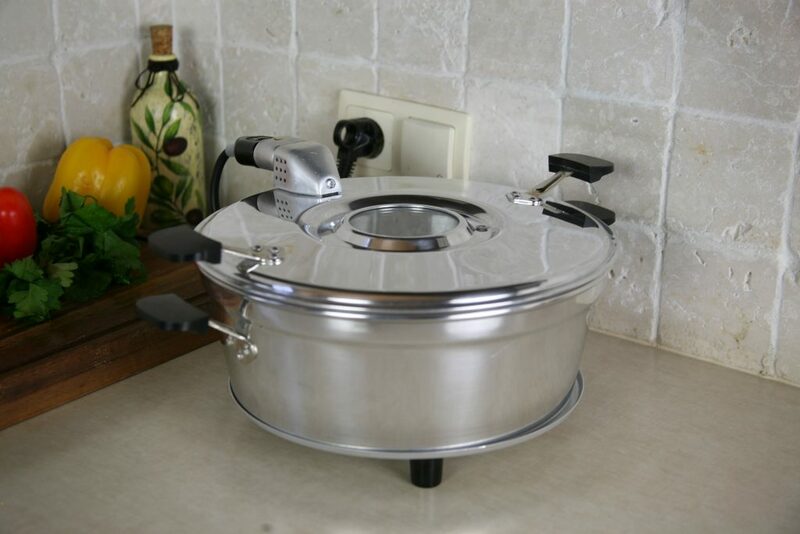 Electric multicooker PRUMEL is an energy efficient and functional mini oven and electric pan in one for baking cakes and roasting meat and poultry. This model includes a power cord with a ceramic tip. The PRUMEL PPG-92 multicooker has the ability to simultaneously heat from above and below, what makes baking time shorter. Why choose a PRUMEL mini oven? 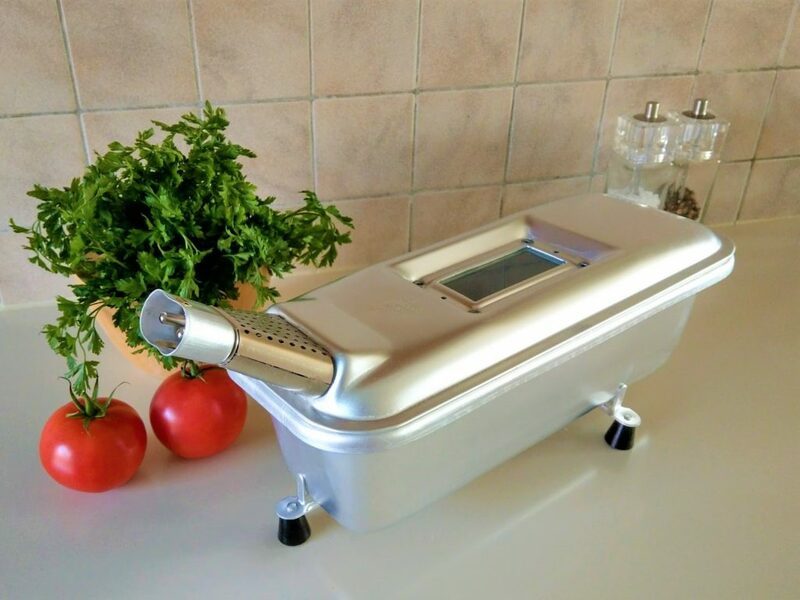 Electric mini oven uses much less electricity than traditional oven. 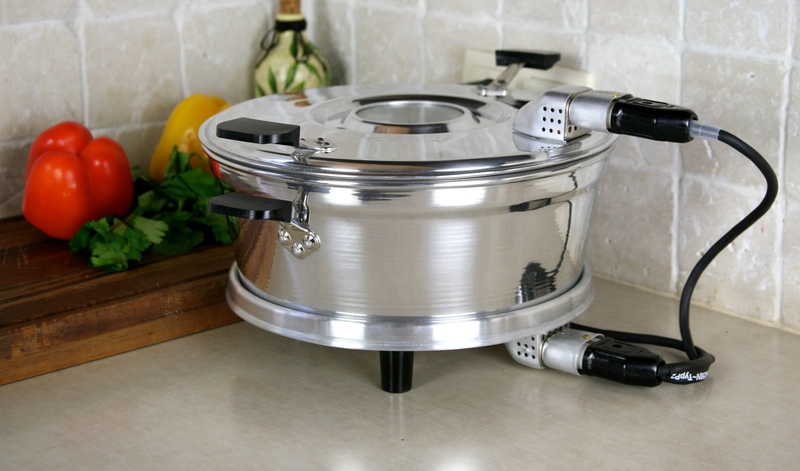 If you want to reduce the electricity bills, then cook the dishes in PRUMEL mini oven. In PRUMEL mini oven the meat is not dried and the toasted crust is crispy. That’s why our oven is perfect for baking juicy meats. The round shape and removable bottom is a great addition to the kitchen equipment for preparing apple pies, cheesecakes and many cakes. 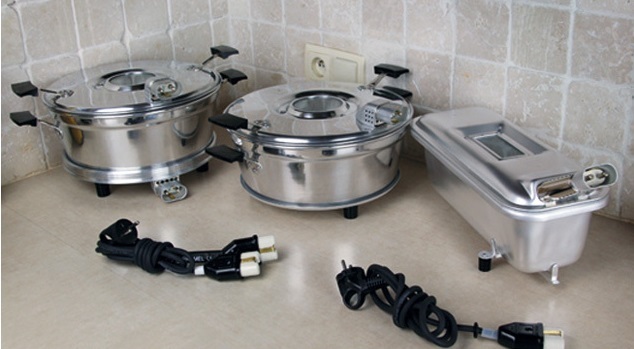 Electric pan is an EU product with all standards which guarantee high quality. The effectiveness of electric pan as an oven is confirmed by several generations of satisfied users. The history of PRUMEL is over 50 years of tradition. You can hide the electrical oven to the cupboard and have more free space in the kitchen when you need it. You can also take it to another place. In the move we present the full contents of the sets for each PRUMEL mini oven model and the application guidelines. PRUMEL is easy to use, does not require complicated settings, just turn it on. Dishes made in our multicooker are healthy and tasty. 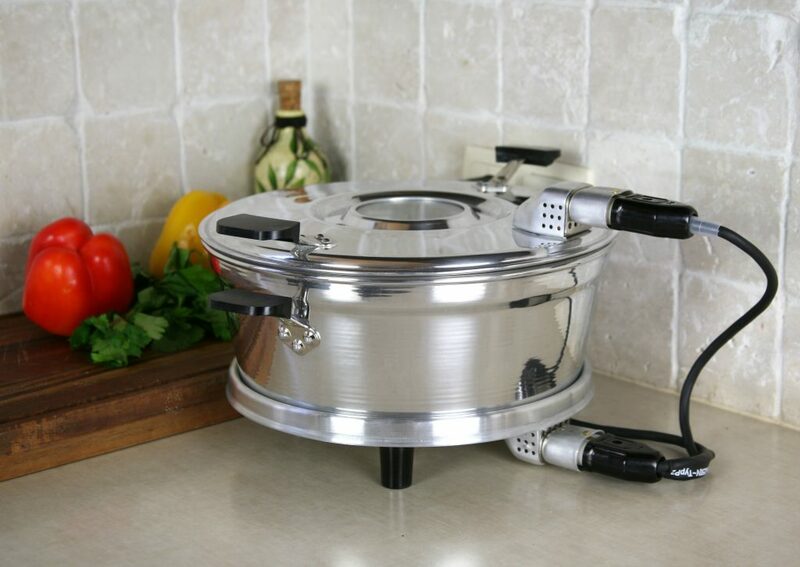 It will help you prepare delicious meals for the whole family. You will make simple and easy recipes as well as modern, surprising combinations of flavors. Baking in mini oven PRUMEL is a way of juicy meat and crispy crust. Your palate will remember the taste of homemade cheeses, apple pie and other delicious cakes. We invite household appliance stores from all over the world to cooperate with us.